Instead of the traditional Green Beer or Green ‘tini try whipping up some of these cupcakes for your friends and family. 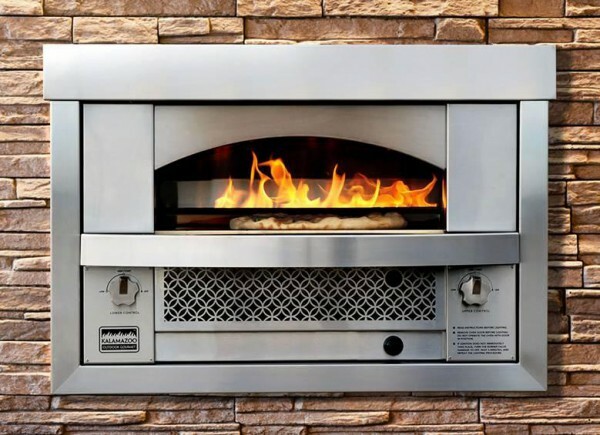 After years of popular demand, Kalamazoo created a built-in version of its famous pizza oven for people who want an oven installed into a wall or masonry structure and not sitting on a countertop. Like the traditional wood-fired pizza ovens, the built-in Artisan Fire Pizza Oven is stone-lined. Pizzas cook directly on a hollow-core baking deck. 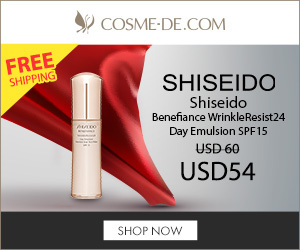 Its honeycombed interior is designed to rapidly change temperature. A ceiling stone radiates heat down to quickly brown toppings. The Artisan Fire Pizza Oven uses propane or natural gas and heats up in about 20 minutes. It is capable of the high heat needed for making delicious pizza, reaching temperatures of 800 degrees Fahrenheit via two independent burners. Of course, the outdoor oven can be used to make other dishes such as roasting meats, fish and vegetables. Simply use cast iron fajita pans right on the baking deck. 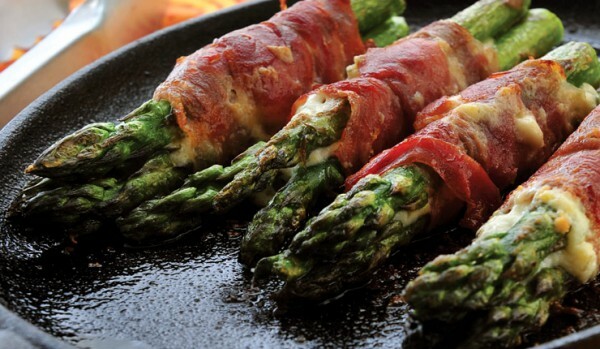 Kalamazoo’s Asparagus Wraps with Crispy Prosciutto and Herbed Cheese seems to be a very popular recipe for pizza oven owners. Priced at $8,295, the oven will surely be the center point of your Outdoor Entertaining. The Oven can be specified for either natural gas or liquid propane, and is made by hand in Kalamazoo, Michigan, of stainless steel. Kalamazoo has a terrific newsletter filled with great recipes that I personally enjoy. 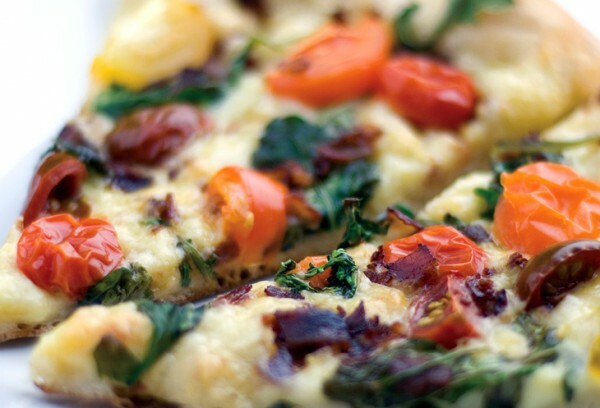 Try this incredible recipe with pancetta and baby arugula. A You can find the pizza dough recipe here.